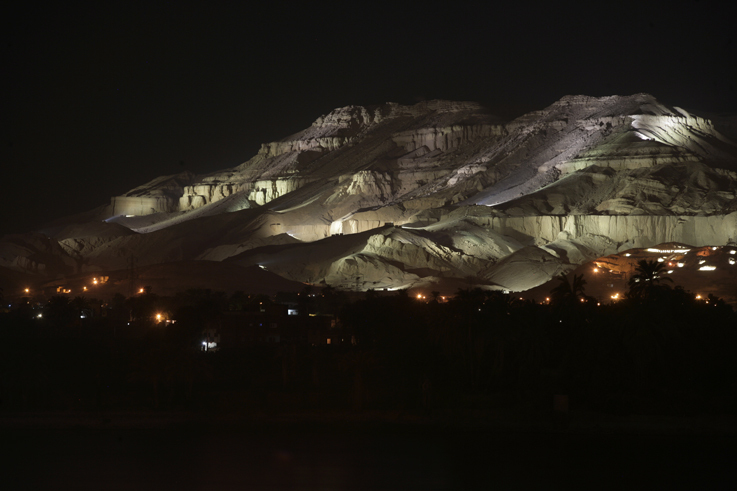 The SCA had finished the lighting system project of west bank, Luxor with a budget of 56 million Egyptian pounds. The project was done in co-operation with Egypt sound and light company and Architecture Lumiere (French company). Dr.Zahi Hawass said that the point of the project is to protect the tombs of the west bank as the huge number of visitors will be distributed on longer hours of the day from 7am till 8pm which will decrease the humidity that affects the tombs badly. Hawass added that the west bank mountains represent a marvelous background for the Nile which the tourists can see from the east bank. 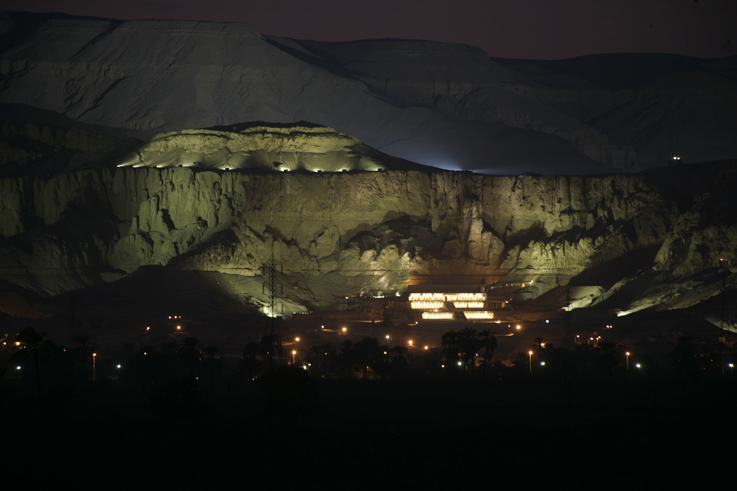 The lighting system includes all the mountains of west bank, Valley of the Kings, valley of the queens, assasif, north Qurna and Hatshepsut temple. General. Essam Abd El-hady(Chairman of Egypt sound and light company) explained that there are 992 lighting units were installed in a specific chosen locations on west bank to be accommodated within the rough nature of the area and concerning the cables, they were carefully chosen to take the heat and resist rustiness. Gen. Essam referred also to the completion of lighting the palm trees area near Qurna in co-operation with the locals. I WOULD LIKE TO BE THERE VERY SOON TO SEE BY MYSELF THIS VIEW.